Hi, thanks to have dl the mod. For play with the warehouse it’s easy, you should dl the folder on sharemods, exctract it and put the scs file inside your mod folder. Go at Geneva, you will find it. You need all map dlc’s. BE CAREFUL, THE LOW DECK TRUCKS GONNA TOUCH AT THE LOADING AREA. REUPLOAD THE MOD IS FORBIDDEN. 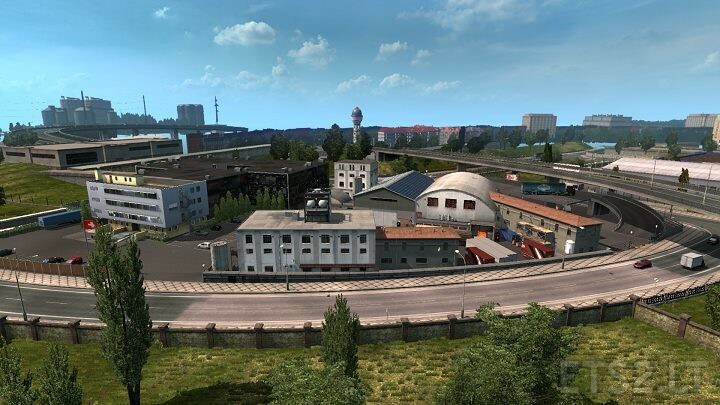 Maybe you can play with promods. MAYBE ! does this work with promods ?